The leading independent specialist for windscreen replacement and windscreen repair based in Wolverhampton and serving all of the Wolverhampton area. National Windscreens Wolverhampton fitting centre provides windscreen replacement and windscreen repair services to businesses and individuals throughout Wolverhampton and the Wolverhampton area. 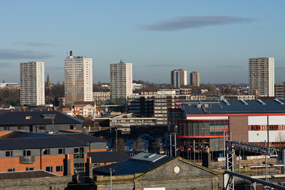 The city of Wolverhampton is located in the West Midlands, in central England. Its population of 251,462 is well served by the A454, A449 and A4123 which all meet on a large roundabout in the centre of the city. In addition the city is close to the M54 and M6 which both provide access to the rest of the Midlands. Wolverhampton attracts people to the theatre as well as the Civic Hall where many international bands frequently perform. The Wolverhampton windscreen fitting centre and its mobile vehicle glass technicians service the needs of Wolverhampton and the surrounding area including Stourbridge, Dudley, Bridgnorth and Walsall. With 108 fitting centres and over 800 mobile technicians, National Windscreens operates the UK's largest windscreen repair and windscreen replacement network. The company provides low cost, high quality windscreen replacement and windscreen repair from its Wolverhampton fitting centre 24 hours a day, 7 days a week, 365 days a year. Repair and replacement of all types of vehicle glass including windscreens, rear windows and side windows is undertaken throughout Wolverhampton and all of the Wolverhampton area.